This section contains ideas for circles that help build trust, positive feelings, and a sense of belonging within the classroom community. While they can be used at any time, these circles are particularly recommended for when students seem reluctant to share in circle. they have given and received respect—and perhaps affection—from classmates. Circles are an ideal venue to support these investigations. They can be used to develop connections, understanding, belonging, affection, agreements, and trust. 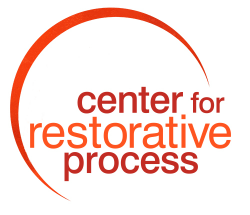 Even when circles are not explicitly about restorative dialogues (dealing with a specific conflict), if they are helping to connect people in a positive way they are fundamentally restorative because they help to restore a culture that is positive and healthy and safe. Near the beginning of every circle is a check-in round. A question is put into the circle, and the talking piece is passed so that everyone in the circle can answer. Almost any low-risk, relevant question will do. The key is that everyone has a chance to have their voice heard, and to reveal something about their inner lives so that others can see them, and they can feel seen. See if you can identify a question that is also about something relevant to an actual social situation prevailing in the class. Many classrooms dedicate a circle to discussing how to bring problems that students are noticing to the attention of the whole class, so together the whole class can work to solve the problem. Convene a circle and ask the students for ideas about what kinds of problems might be appropriate to bring to circles for discussion. Then ask what a good procedure might be for naming these problems. Let students contribute ideas until they arrive at a solution. A typical solution is to have a box into which students can put notes about problems they feel should be discussed in circle. Some circles can be dedicated to this discussion. Basic and fishbowl circle formats are useful for this (see lesson plans). These circles can give students the feeling of being empowered. They can also help teachers who feel they have been carrying the burden of classroom problem solving by themselves experience the relief of having students who partner with them in this important task. See lessons 5 and 6 in Part Three for detailed descriptions of circles of this type. After a field trip or other special event where students have had an unusual experience, their learning is greatly enhanced by this type of circle. Gather students into the circle and, using the talking piece, invite them to tell a story in which something is shared from their day that was meaningful or interesting to them. You may have to model this; this activity is best done as a story in which there is a bit of plot. It can help if you suggest they tell it in the third person: “A boy was wandering on the trail one day when spotted a rabbit…” Encourage them to add details. As they students to each other’s stories they may realize their day was richer than they had previously been aware of. To close this circle invite comments from students about one thing that stood out for them. This is a version of show and tell that works for any age. Invite each student to bring something special from home to share with the class. Be sure to discuss what is and is not appropriate to bring. Remind them the day before the circle. Be sure to put a nice large fabric on the floor in the center of the circle for this activity. In the circle, go around and have each student in turn show their something special and put it in the center on the fabric. Encourage them to arrange their item so it becomes part of a collage or sculpture. Some students may forget to bring an item; it works very well to simply have them describe what they would have brought and what it means to them, and then to have them pantomime placing the object in the center with the others. If time permits, invite students to share a second round focusing on what they thought about telling the class, but did not say. Almost always this second round will be more intimate than the first round. After everyone has shared take a few moments to appreciate the objects in the center. You can ask students if they notice any patterns, similarities, or differences in what people shared. To close the circle, have each student in turn pick up their item (including the imaginary items placed by those who forgot to bring something) and return to their seats while the whole class “remembers out loud” what they shared about the item and why it is special to them. We learned this last part about remembering out loud from a 4th grade class that invented it spontaneously, and we have used it ever since. It is often a very touching and bonding event.